April Hathcock is Librarian for Scholarly Communications at New York University. 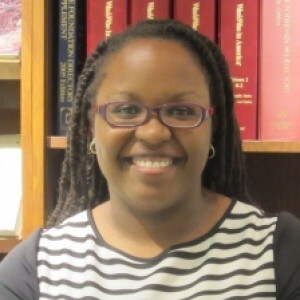 She educates the university community about issues relating to ownership, rights, and access in the research lifecycle. She received her J.D. and LL.M. in International and Comparative Law from Duke University School of Law and her MLIS from the University of South Florida. Before entering librarianship, she practiced intellectual property and antitrust law for a global private firm.